December 28th, 2011 | EarthBound, Misc. Through travel, birthdays, dating, engagement, marriage and now the expectation of a child- Earthbound keeps being brought to the surface in my life. In fact almost every month of 2011 I received some sort of Earthbound reminder. People who didn’t previously know about the Mother series are now aware of it because they know that I like it. 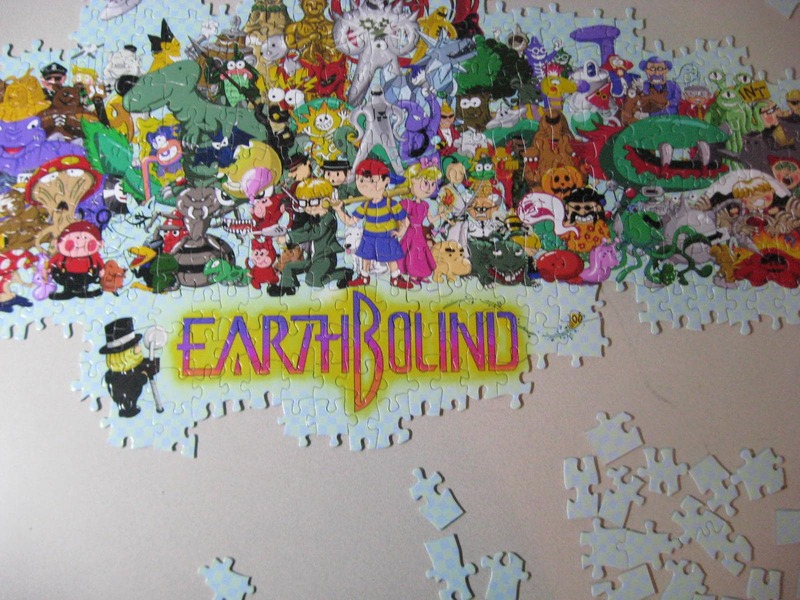 One of my favorite “Earthbound reminders” this year is that my fiance gave me a custom made Earthbound jigsaw puzzle as an engagement gift. She used the amazing art piece “Good Friends Bad Friends” from viking011 as the picture of the puzzle. Has this been the case with anyone else? 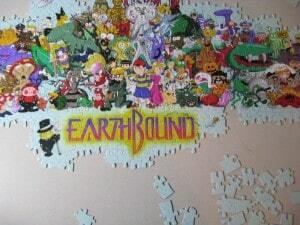 Has EarthBound (or any other game, actually) had an impact on your life somehow? I’m curious to know! Well, if you must know, there HAS been something that has had an enormous impact on my life. Maybe not quite to the scale as that Travis, but I thought it was similar. Anyway, it’s not EarthBound which changed my life so dramatically, but Homestuck. 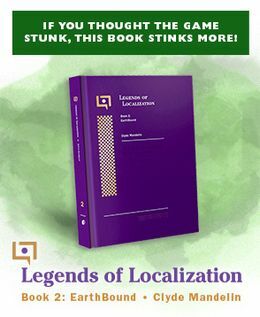 If I hadn’t gotten curious about Mother/Earthbound after seeing Lucas in Brawl, I wouldn’t have found Starmen.net and the Mother 3 translation project, and I’d never have switched my major to Japanese; now I’m studying something I love and getting ready to go to Japan next fall. It’s a long story, but I’m happy things turned out the way they did. Such a huge impact. I can’t even describe. My life would be in a really different place right now if not for this series. Really different. After the GPP we had in Madison there’s a video of me on a very, very drunken rant about how Earthbound made me quit school and get my GED. It’s true! Earthbound/Mother (and this site!) helped change my life! I discovered this site in June, and was always hooked on it, checking it every day! I love this site! Thank you Mato! But Earthbound taught me the meaning of friendship, and after going through drama with friends, I realize who my real ones are! EarthBound certainly influenced my life, and it’s stayed with me since I played through it not too long after its initial release. It’s just a more colorful and heartfelt game than many that came out at that time, when I was an impressionable adolescent. Other games that stood out for me were the classic Nintendo titles from NES/SNES like Mario, Zelda, Metroid, Punch-Out!! I enjoyed the way that they were well-designed, clean, straightforward and wholesome. Japanese quality through and through. I also appreciated getting to play some of the first console RPG’s from the Dragon Quest (Dragon Warrior back then) and Final Fantasy series. Definitely groundbreaking and fascinating to play. Earthbound actually resurfaced for me at a time when I was going through some major self-discovery. I had some bad experiences over the past couple years and decided to chill out and focus on my current job. Then I discovered this community and was amazed at how dedicated and genuine it was. So I lurked for a long time (I was a little intimidated) and then I finally started to participate a little. So I just wanted to say that I appreciate everything you guys do. You’ve helped me to climb out of some mental holes I’ve dug myself in. You’ve done a wonderful job creating a respectful community that I’m glad to associate myself with. The Mother series is a truly wonderful series that gets to me like no other so I sincerely thank you for every contribution. Keep on keepin’ on. I’m not going to get into details as to why I was depressed, I don’t want to have a wall of text like everyone else. I pretty much decided I was going to kill myself eventually. People told me to wait it out and I’d be fine, so I played through Earthbound again to waste time. It delayed what I wanted to do, but it wasn’t enough. So, I took my cartridge and put it in my backpack wherever I went. It made me feel a lot better. In the end, it delayed my want long enough so that things could get better. I have Earthbound to thank for saving my life, pretty much. It’s great to hear everyone’s stories. My life hasn’t been directly changed, but inside as a person Earthbound/Mother has inspired me. My first exposure to EarthBound was around the time I started fifth grade. As I like to draw, naturally, I’ve drawn a lot of EarthBound stuff since that time. So, I can say that EarthBound has influenced my art style to some degree. I also cite Tomato’s old Mother 2 vs. EarthBound site as one of the reasons I started teaching myself Japanese. I’m learning Japanese by myself. I want to enjoy more of the Mother series and other unlocalized (or mistranslated) games. And they say video games aren’t life-changing. yaomtc thanks for linking viking011’s pic!